Parins offer a full range of services, from recovery of vehicles, repairs, to the rebuilding and refurbishment of heavy transport vehicles and machinery, with a strong focus on minimizing downtime. 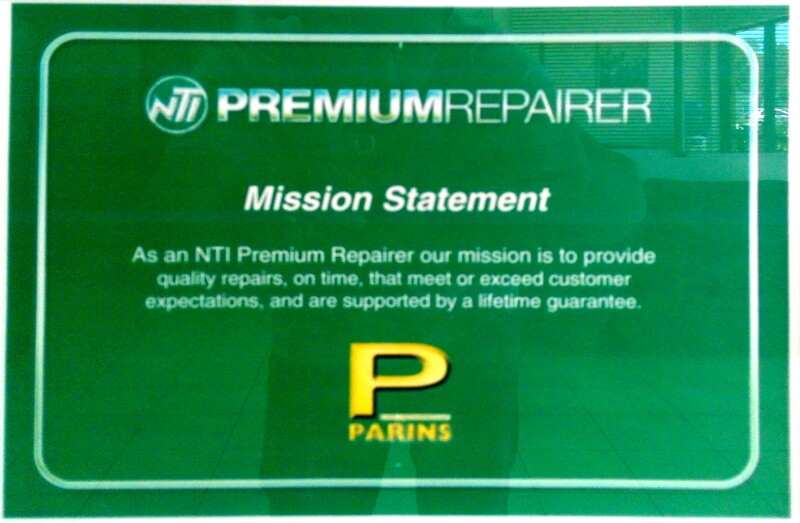 Parins knows how to get you back up and running fast. 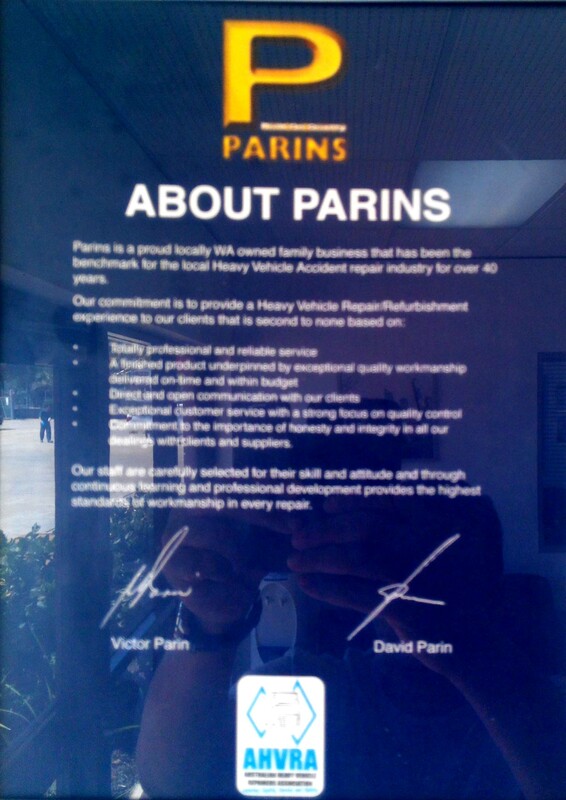 Parins is a wholly owned private West Australian company, which strives to professionally service the individual needs of repair, rebuild, refurbishment and finish of heavy transport vehicles and machinery. 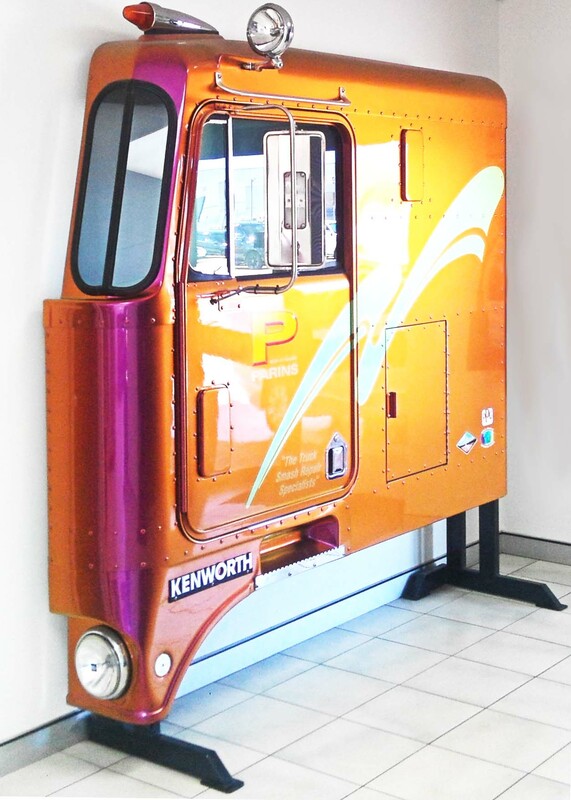 For over 48 years we have accepted the challenge to prove to our clients: corporate, government and local authorities, heavy transport companies and individual truck, bus and machinery operators, that we are for more thank a ‘Panel Beating Shop’. 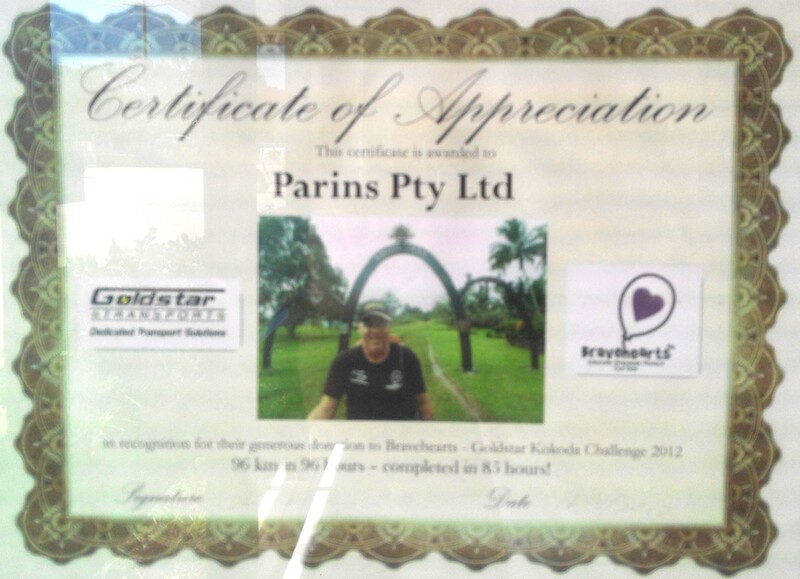 Parins is the ‘one stop’ heavy transport equipment repairer and rebuilder. 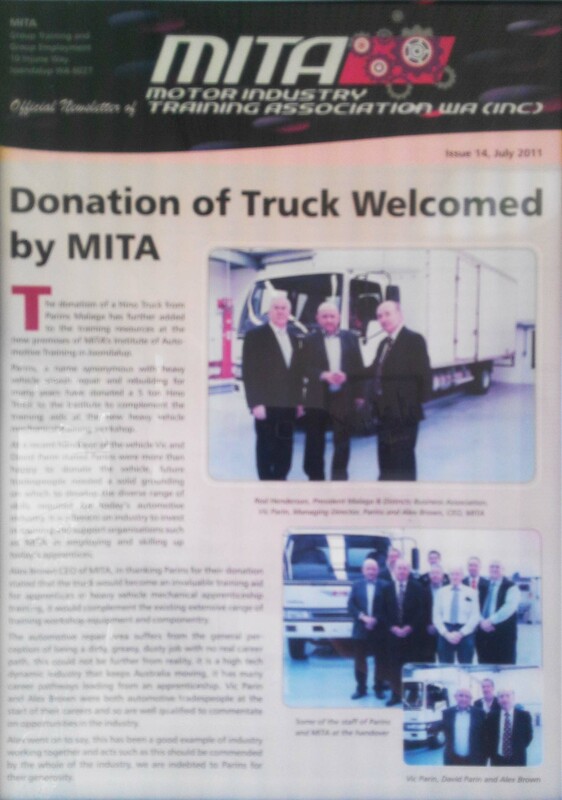 Our motto is based on delivering quality and services with reliability and your complete satisfaction. In achieving these goals, we have become the largest business of our kind in Western Australia and arguably the third largest in Australia. By delivering on our statements and fulfilling our responsibility to you -our valued customer- we will continue to build on our reputation of quality and remain at your future service.